How to submit your pension contribution schedule.. If you choose to pay by electronic fund transfer or by variable direct debit, you are required to submit a matching pension contribution schedule. By choosing this option, you download contributions from your payroll system and submit them to us electronically. If you decide to submit your contribution schedule by email, you will be responsible for ensuring that the data is secure. This can be submitted by email to code@irishlife.ie quoting your scheme name, scheme number and the month the schedule is in respect of. Alternatively you can also avail of our Secure Path service to avoid installing additional software to encrypt or decrypt the confidental files. See below for further detail. Do you key contribution breakdown data into an excel spreadsheet or word document each month? Do you use PDFs to submit your contribution breakdowns? Would you like to have your contribution breakdowns validated online immediately? Does your scheme have less than 30 members? 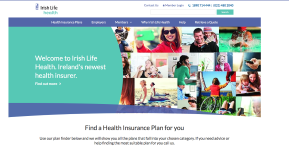 Payment Express is an online service from Irish Life Corporate Business. 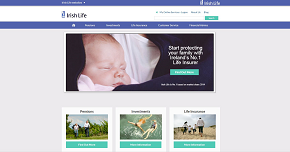 It allows those responsible for submitting contribution breakdowns to Irish Life to key their breakdowns in online in a secure manner. Payment Express is available to employers, consultants and trustees responsible for creating or submitting contributions breakdowns to Irish Life Corporate Business. To use Payment Express, you must be a registered user of Pension Planet Interactive and your pension scheme must have less than 30 members. To find out how to access this function on Pension Planet Interactive and the step-by-step process, download this pdf on Payment Express. If you decide to submit your contribution schedule by email, you will be responsible for ensuring that the data is secure. The contributions can be submitted by email to code@irishlife.ie quoting your scheme name, scheme number and the month the schedule is in respect of. Do you dislike sending sensitive data using email? Do you find it cumbersome or time consuming to encrypt your emails? Do you use password protected Excel files to secure the information you are sending to us by email? Security and data protection is an ongoing concern for any organisation that relies on electronic communication. Secure Path helps you meet your obligation in regards to the safe transmission of data under the Data Protection Act. It is a facility available to you as part of our online Pension Planet Interactive service. Secure Path allows you to quickly and easily send scheme sensitive information (e.g. 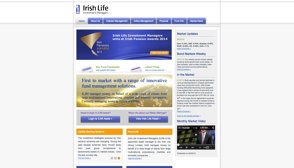 pension contribution schedules) to Irish Life Corporate Business, securely and effortlessly. You don’t need to install any additional software to encrypt or decrypt the files. Once you send a file using Secure Path, you receive a unique reference number. Not only can this be used to quickly refer to a file, but it assures you that Irish Life has received your file. You get peace of mind. Your sensitive data is automatically encrypted using industry standard high security encryption. In order to register to use the Secure Path service, send an email to Code@irishlife.ie quoting your scheme name and number and tell us you wish to register for Pension Planet Interactive and the Secure Path Service. Secure Path is available to all employers, consultants, payroll providers and scheme trustees who are registered users of Pension Planet Interactive. To find out how to access this function on Pension Planet Interactive and the step-by-step process, download this pdf about Secure Path.